It's important to understand Washington State’s family laws, with help from attorneys experienced in Washington divorce law. Our team of attorneys has a working knowledge of how divorce laws in Washington have changed over time and how they are applied to real-world situations. Negotiating the terms of a divorce is never easy, so it's important to consult Washington state divorce law before taking your first steps. If negotiations during the divorce go poorly then it may be necessary to go to family law court, but then a judge will be the primary arbiter of your future. Our Seattle divorce attorneys understand that you have your family's best interests at heart, so we act as your advocate with the court. Our actions are governed by Washington divorce law as we help you meet all of the challenges that present themselves during your divorce. Developing trust with our divorce clients is essential to success, whether we can settle the case through negotiations or it becomes necessary to appear in family court. There are number of issues that could come up during divorce proceedings, and these are clearly defined within Washington State family law. Just a few of these sensitive issues include property division, spousal maintenance, child support, paternity, and child custody. 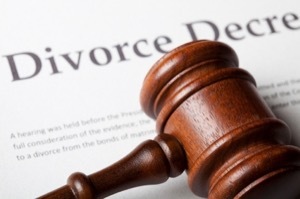 Whether you've been served with divorce papers or are considering filing for divorce, you can get help from our team of experienced Seattle attorneys today. Understanding Washington State divorce law is never easy, and many of our Seattle divorce clients have urgent questions concerning the divorce process. Our Seattle lawyers are ready to start answering your questions, and will use there more than three decades of combined experience to help you get a handle on these sensitive issues. Going through a Seattle divorce will likely be one of the most difficult experiences you will ever have to navigate. The process can be even more daunting when faced with complex Washington State family laws, the court, a judge, your ex-spouse, and their attorney. With so many variables in play it's important to maintain focus on what is truly important, and our Seattle divorce lawyers will help guide you by offering you sound counsel based on family law. It's vital to remember that Washington State divorce law was written to protect your rights, and it is the role of your attorney to help you work toward a fair agreement. We will first seek to establish a series of goals, and then see how we can utilize Washington divorce law to achieve these goals. Our Seattle divorce attorneys will be with you every step of the way, through negotiations and even by your side in family court if such an action becomes necessary. Our Seattle legal professionals offer a free, confidential, and private consultation that will help you get answers without risk or obligation. If you choose our team of experienced attorneys to represent you, we will work hard to help you achieve your goals and provide you with an in-depth review of Washington's divorce laws.